Smart-home technology is not just for adults. Smart-home technology helps provide support for growing children and their families. As children prepare to transition into adulthood and community-based living, smart-home technology can assist them in developing independent living skills. These assistive systems help children learn essential independent living skills while keeping them safe. Just like any other teenager, Anissa wants more independence in her home and the community. With her diagnoses of Prader-Willi syndrome and developmental disabilities, Anissa requires intensive monitoring to keep her safe and healthy. When Anissa’s mother first contacted SimplyHome, she was supervising Anissa around the clock so that Anissa didn’t overeat or leave their home in search of food. 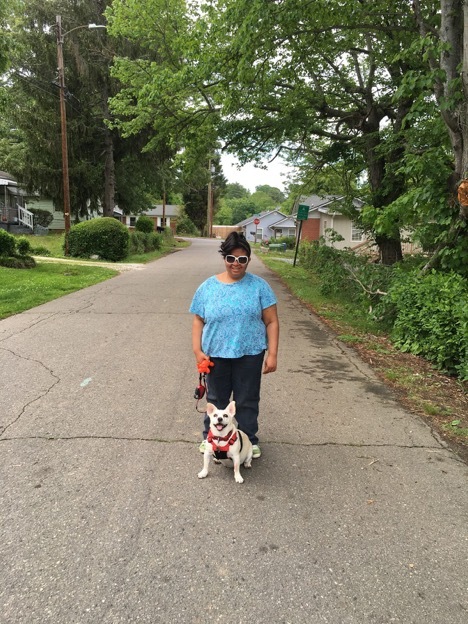 Anissa spent six months at a Prader-Willi treatment facility where she was taught many life skills to help her manage her behavior and weight. When Anissa returned home from the treatment facility, her mother and her care coordinator contacted SimplyHome to find ways to help Anissa. Through SimplyHome’s assessment, Janet determined that door sensors, a bed pressure pad, and several motion sensors would give her the peace of mind necessary to support Anissa’s increasing level of independence. The system’s sensor-based technology sends both alerts to Janet’s cell phone and gives audible notifications in the home. Anissa learned fast that when the system created an alert, her family would come and check on her. As a result, Anissa learned to change her behaviors, such as returning to bed when need to and not leaving home without supervision. Anissa’s mother also found that with SimplyHome’s enabling technology, their family no longer has to stay up and monitor Anissa all night, allowing Anissa’s mother to return to work. Focusing on Anissa's future and her success as an independent adult, her family, still knows she is a teenager. However, as Anissa's mother, Janet says “We know we are not going to be around forever. If we don't start supporting Anissa's independence now, then she won't have as many choices when she's an adult." To learn more about the SimplyHome system and how it can help children develop independent living skills contact AdaptMy today.